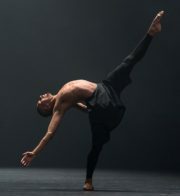 Polarity and Proximity, Birmingham Royal Ballet at Sadler’s Wells. Review by Julia Pascal. 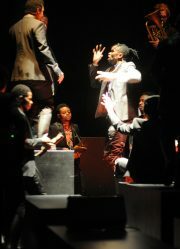 Polarity & Proximity, a triple bill, follows the success earlier in the week of Romeo & Juliet. This London programme’s aim is to reveal the range of styles this strong company employs. Romeo & Juliet, set to Sergei Prokofiev’s 1935 composition, is one of the most thrilling dramatic ballets ever produced in the twentieth century. 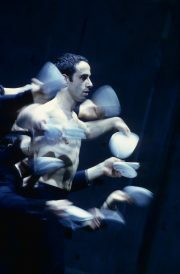 With his usual multi-layered irony and dark humour, Shechter turns our familiar conceit of “the world as a stage” into a circus of nightmare clowns ­– who much resemble ourselves. 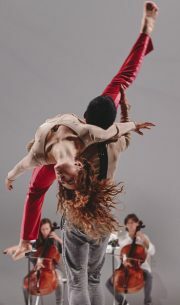 ‘Körper’, Sasha Waltz and Guests, Sadlers Wells. Review by Julia Pascal. This epic work dates from 2000 and 18 years later it still has moments that beguile. Körper means Bodies and the 13 international dancers nearly all wear white underpants as a uniform that unerotically emphasises flesh, bones and blood. Wayne McGregor is the choreographer of the moment, the brainiest bloke on the block. That this must be so is confirmed by the scale of the recognition he receives, as much from rapturous young audiences as from battle-hardened institutions.